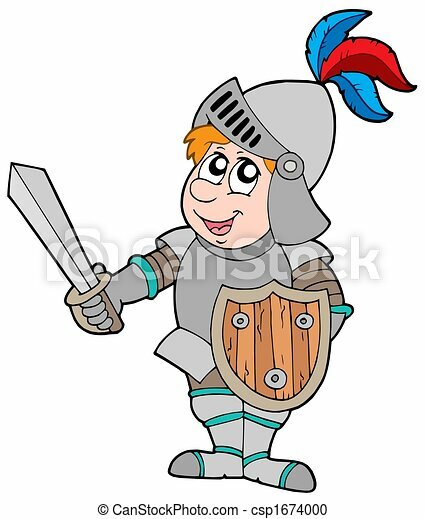 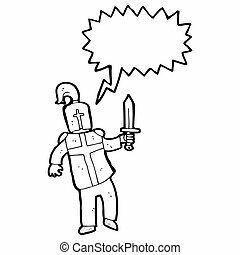 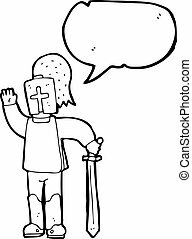 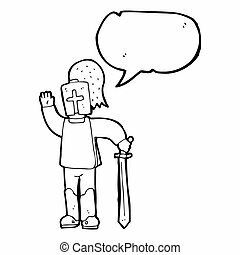 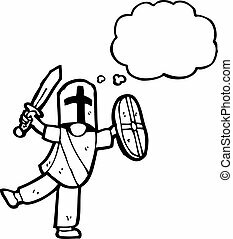 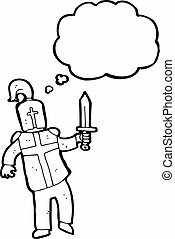 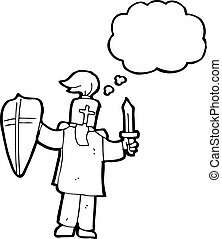 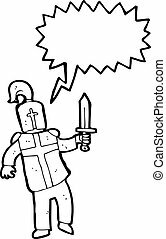 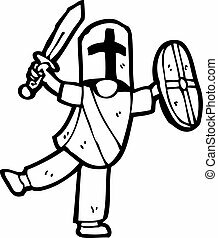 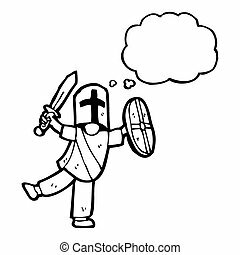 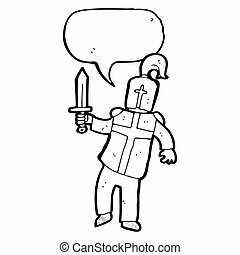 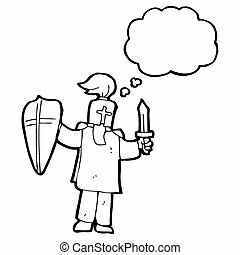 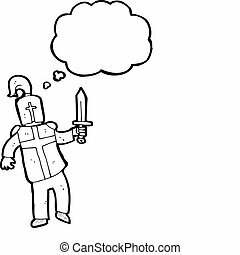 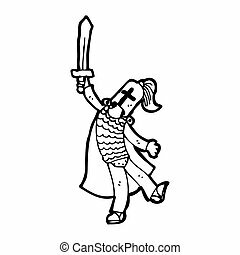 Cartoon knight on white background - isolated illustration. 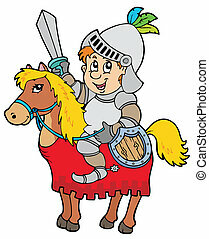 Cartoon knight sitting on horse - vector illustration. 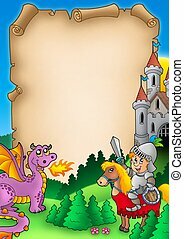 Frame with knight and dragon - color illustration. 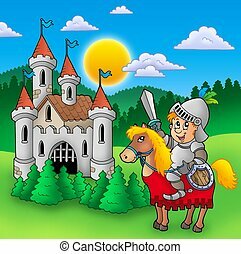 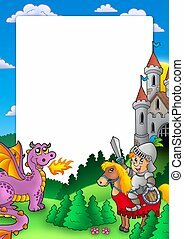 Knight on horse with castle - color illustration. 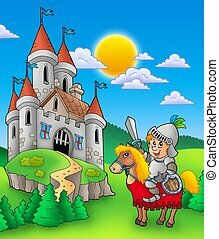 Knight on horse with old castle - color illustration. 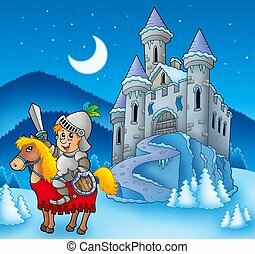 Knight on horse with winter castle - color illustration. 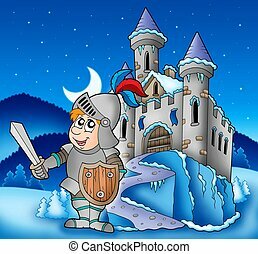 Castle and knight in winter landscape - color illustration. 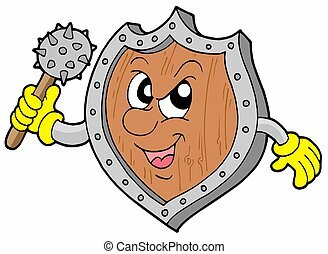 Angry shield warrior with mace - isolated illustration.